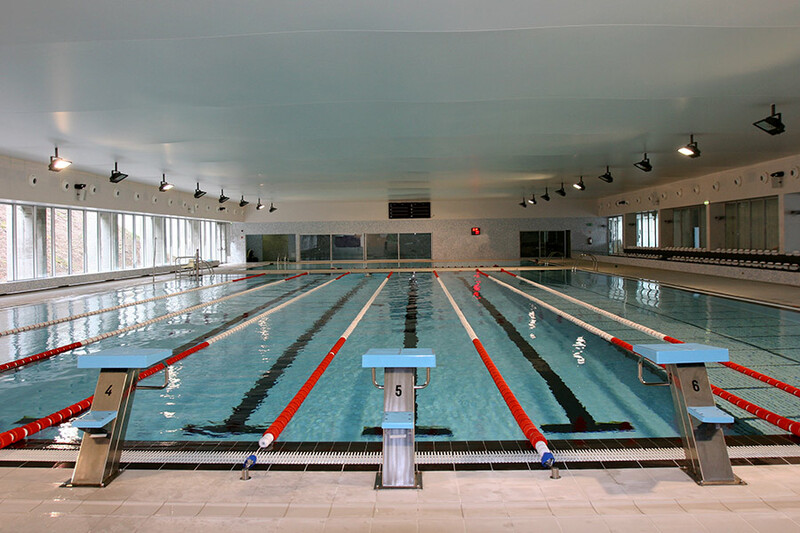 Dynamic PanelPool is range of pre-manufactured swimming pools developed by RP Industries for the public swimming pools industry. 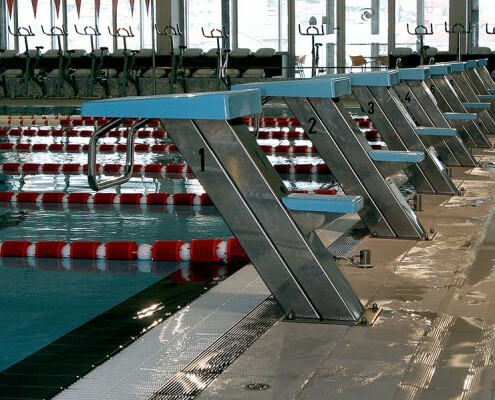 Dynamic Panel Pool’s structure uses galvanized steel panels with Spectron protection which allows the construction of both over the floor and in ground swimming pools in a very short time, whatever their shape and size. 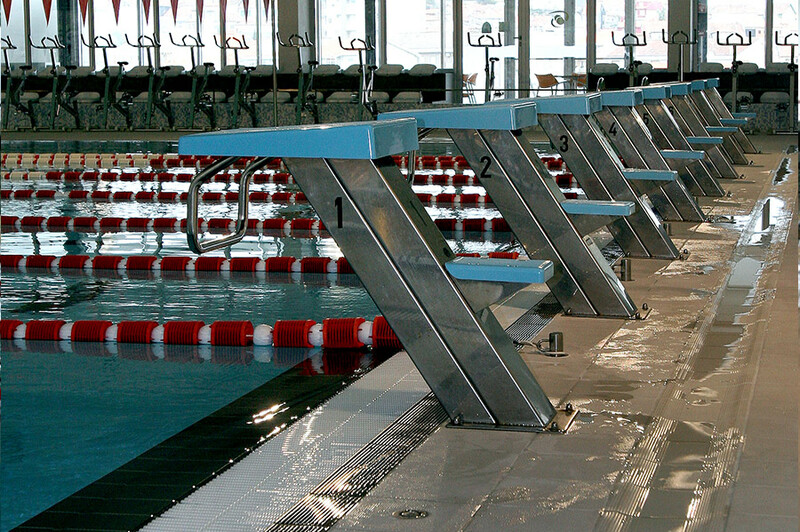 Because of our large variety of shapes and sizes, Dynamic Panel Pool is easily adjusted to every structure already installed: hotels, water parks, spas, gyms. 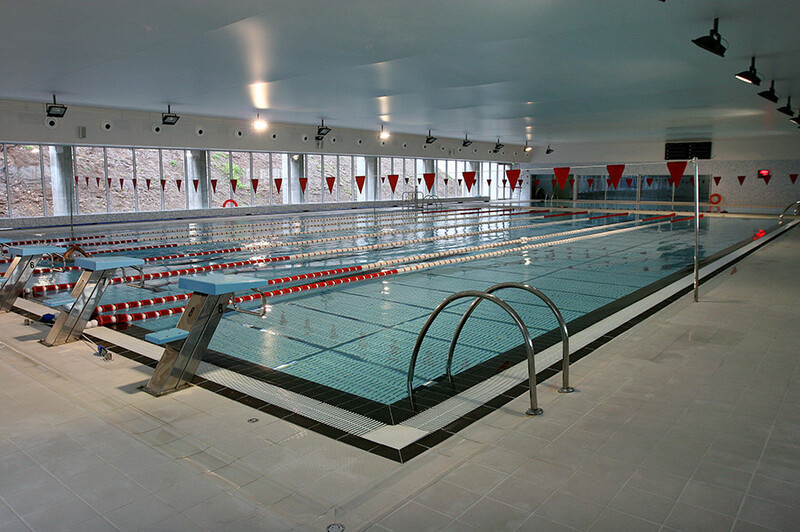 All Dynamic PanelPool swimming pools fit the needs of public swimming pools, with technical solutions adjusted to the specific situation. 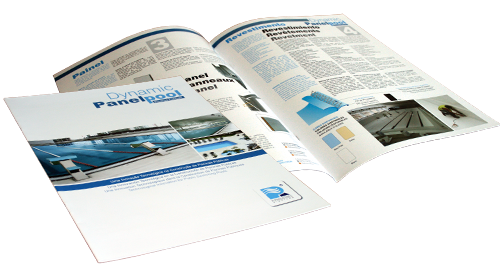 Long lasting, resistant, versatile are some of the basic features which guided the development and conception of Dynamic PanelPool. A highly competitive product in both technical and economical aspects. The whole principle behind the assemblage of Dynamic PanelPool is based in the technique of joining together several panels using screws over a concrete slab. Diagonal reinforcements are placed in every panel junction, in order to stand the pressure performed by the water, over the panels. 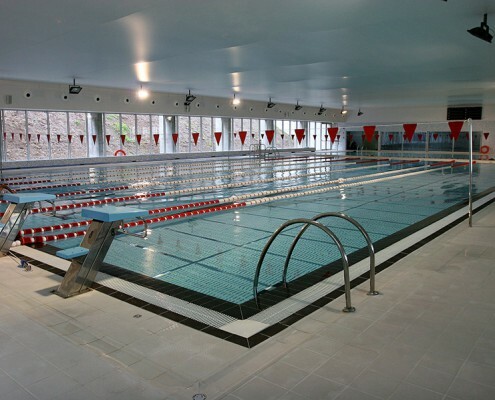 The impermeability of the swimming pool is guaranteed by a 150/100 liner. A highly competitive product in both technical and economical aspects. 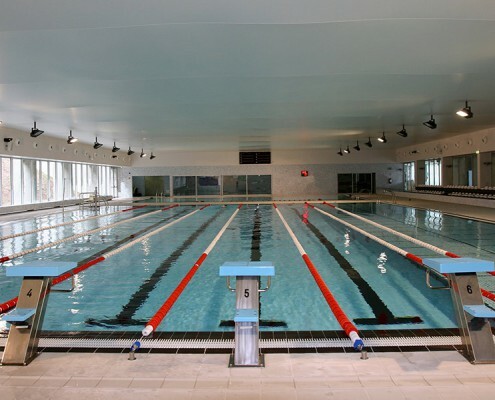 See the public swimming pools performed worldwide. Learn more about DYNAMIC PANELPOOL. I may at any time change my consent statements submitted to R. Industries for future use by completing and submitting the Consent Form by selecting the checkboxes according to my preferences. Upon the complete withdrawal of my consent statements, my client profile will no longer be dealt with and I will no longer receive Marketing Communications. Through the specified communication channels, I can also request information about my data stored in R. Industries, as well as the rectification, erasure or blocking of my personal data. I would like to receive personalized offers of products and services that have been identified based on my personal preferences and behaviors, as well as from the use of products and services. I agree that personal data is used to create an individual customer profile through a statistical procedure. Thanks to this profile, I will receive Marketing Communications with content that is relevant to me, such as, for example, RP Industries custom offers and certain contractual partners and points of sale (the dealer / partner of my last pool purchase or products / equipment, the dealer / partner of my last service / repair / service or the dealer / partner geographically closest to my address). In this context, I also consent to satisfaction surveys related to the product or service contracted by me or the Company I represent, as well as the services provided by RP Industries, for the purpose of evaluating my satisfaction with them and the purpose of improving processes and services related to the fulfillment of RP Industries obligations under this agreement. I also agree that my client profile is transmitted by R.P. Industries to my contractual partners and sale points for the purposes mentioned above and that these companies can contact me with content that is relevant to me. When available, the following data, provided by me or generated by my use of RP Industries’ products and services and its contractual partners and points of sale, may be included in the profile development: contact details (such as, for example, name, address, e-mail address); supplementary information / preferences (such as, for example, the dealer / partner of my last pool purchase or products / equipment, hobbies); identification data (such as, for example, customer number, contract number); customer history (such as, for example, receipt of offers, pool purchase data, dealer / partner information); pool data (such as pool usage data, make, model, size, depth, installed equipment); app- / website- / data from social networks (such as, for example, social networking data). An exhaustive list with data from these categories can be found. I would like to receive Marketing Communications from R. P. Industries through email, mail, telephone/message services. I hereby agree that RP Industries (RP Industries SA, with its headquarters in Parque Industrial de Sobreposta, Rua da Piscina, n.º 70, Sobreposta, 4715-553 Braga) treats and uses my personal information (for example, contacts and personal details, hobbies and interests) for customer service purposes and for selected communication of information on RP Industries’ products and services and market research. RP Industries may also transmit my personal data provided to certain contractual partners and points of sale (the dealer / partner chosen by me, the dealer / partner of my last purchase of pool or products / equipment, the dealer / partner of my last service / repair / service or the dealer / partner geographically closest to my address), who may use my data for the above purposes.